Lighthouse-The Rise Of Lighthouse-1969 1974. In 1968, Skip Prokop the former drummer and vocalist with the Canadian psychedelic rock band The Paupers, met Brooklyn born keyboardist Paul Hoffert in a New York nightclub. The men bonded over their mutual love of music. However, when they parted company at the end of the evening, they never thought that their paths would cross again. That was until Skip Prokop boarded a flight from New York to head home to Toronto, and recognised one of his fellow passengers. It was none other than Paul Hoffert, who was studying at the University of Toronto. The two men started talking, and soon, were discussing the possibility of forming a band based around a rock rhythm section, jazz horn section, and classical string section. It this was an ambitious plan, but one that Skip Prokop and Paul Hoffert were determined to bring to fruition. Fortunately, Skip Prokop was a familiar face within Toronto’s music scene, and knew plenty of musicians who would be interested in joining the band he planned to form with Paul Hoffert. Skip Prokop brought onboard some of his musical friends, several session musicians and members of the Toronto Symphony Orchestra. Gradually, Skip Prokop and Paul Hoffert’s group was taking shape. Eventually, the nascent group featured thirteen musicians. The next step for the as yet unnamed band was to record a demo. Once the demo was complete, Skip Prokop sought the advice of one of his musical friends, Richie Havens. He suggested that Skip Prokop and Paul Hoffert take the tape to MGM Records, who Richie Havens was currently signed to. On hearing the demo, executives at MGM Records were hugely impressed with what they heard. So much so, that they offered the band an advance of $30,000. Skip Prokop and Paul Hoffert signed on the dotted line. The band was now signed to MGM Records. Having signed to MGM Records, the band acquired a manager within the space of two days. It was just a pity they hadn’t a manager when they signed to MGM Records. Their new manager was Vinnie Fusco, who was an associate of Albert Grossman, who managed Bob Dylan. Vinnie Fusco was an experienced manager, who was well versed in the how the music industry worked. He decided that the MGM Records’ deal wasn’t good enough for his new client. Vinnie Fusco decided to pay the executives at MGM Records a visit to discuss the contract his new client had signed. By the end of the meeting they were prepared to free the band from their contractual obligations. This left them free to sign to RCA Victor. Not before Vinnie Fusco had negotiated a lucrative recording contract for the band. This time, it wasn’t $30,000 that the band would receive, Instead, they would receive hundreds of thousands of dollars over the course of the contract. During that morning, Vinnie Fusco had more than proved his worth. Now that the band had a recording contract in place, the next step was to finalise the band’s lineup. Although the band had recorded a demo, this wasn’t the version that would make their live debut at Toronto’s Rock Pile on May ’14th’ 1969. With the lineup of the band finalised, and having honed their sound, they were ready take to the stage at the Rick Pile. As the band prepared to take to the stage, a seventy year old man-made his way to the microphone to introduce the band. Some members of the audience thought his face was familiar. It was none other that Duke Ellington who uttered the immortal words “I’m beginning to see the Light…house.” With that, the thirteen members of the band that would become Lighthouse took to the stage and delivered a barnstorming set. By the end of the night, very few people were taking about Duke Ellington. Instead, they were taking about Lighthouse’s live debut. After the success of Lighthouse’s live debut, Vinnie Fusco knew that he had signed a band with a big future ahead of them. He wasted no time in taking Lighthouse into the studio to record their eponymous debut album which was written and recorded during 1969. For Lighthouse, members of the band had written eight new songs, and covered The Byrds’ Eight Miles High and Richie Havens’ No Opportunity. Lighthouse’s songwriter-in-chief was Skip Prokop who cowrote three songs and wrote four more. This included If There Ever Was A Time, Follow The Stars, Marsha, Marsha and Ah I Can Feel It. He and Paul Hoffert wrote Whatever Forever, while Skip Prokop Peggy Devereux wrote Life Can Be So Simple. They also wrote Mountain Man with guitarist Ralph Cole. Brenda and Paul Hoffert Never Say Goodbye contributed. These ten tracks were to be recorded at Electric Ladyland Studios, New York. At Electric Ladyland Studios, the thirteen members of Lighthouse prepared to record their eponymous debut album.Taking charge of production was Skip Prokop and Paul Hoffert who was Lighthouse’s musical director. After the sessions got up and running, it soon became apparent things weren’t going to plan. Rather than waste time and money, they should head home to Toronto and record the album there. When Lighthouse returned to Toronto, they deduced to record at Eastern Sound Studios. Suddenly, the band were in a groove and before long, had recorded the ten songs that became Lighthouse. Once it was completed, it was released later in 1969. Before that, critics had their say on Lighthouse. It received plaudits and praise from critics who were won over by Lighthouse’s innovative genre-melting sound. Lighthouse was a mixture of jazz, rock, classical and fusion. There’s even avant-garde, blues, chamber pop, funk, pop and psychedelia, in an album that was designed to grab the listener’s attention. Alas, when Lighthouse was released, the album failed to find the audience it deserved. Lighthouse failed to trouble the charts. It was a similar case when If There Ever Was A Time was released as a single. Despite the disappointment caused by the failure of their debut album and single, Lighthouse began work on their sophomore album, Suite Feeling. By then, Lighthouse were regarded as one of the top live acts in Canada. The band was hoping that their sophomore album would introduce the band to a much wider audience. 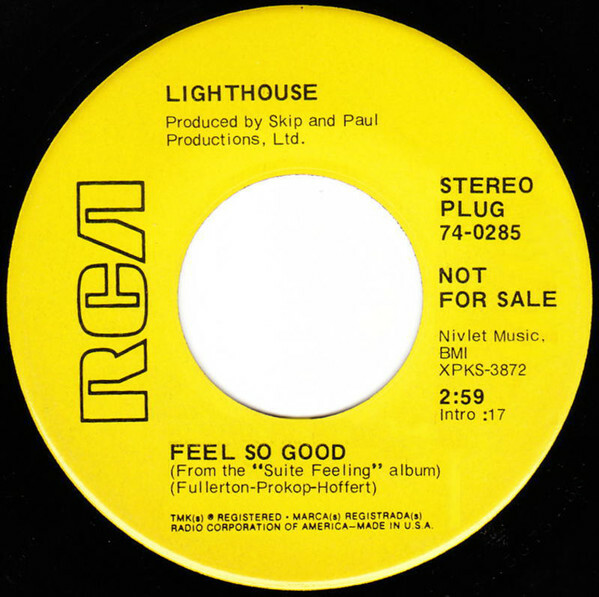 When Lighthouse began work on what became Suite Feeling, Skip Prokop and Paul Hoffert were starting to forge a successful songwriting partnership. They wrote Could You Be Concerned, Presents Of Presence, Taking A Walk, Eight Loaves Of Bread and What Sense. The pair also penned Feel So Good with Grant Fullerton, and the trio proceeded to write Places On Faces Four Blue Carpet Traces with Ralph Cole. Just like Lighthouse, there were two cover versions on Suite Feeling, Robbie Robertson’s Chest Fever and Lennon and McCartney’s Day In The Life. These nine songs were recorded in two studios. Some recording sessions took place at Eastern Sound Studios, in Toronto. Other sessions took place in Los Angeles, at RCA’s Music Centre Of The World. This time around, Lighthouse’s lineup numbered fourteen. 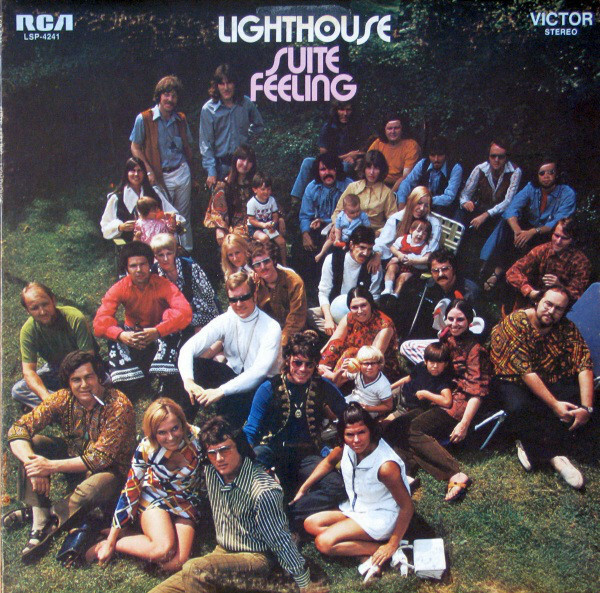 This new and expanded lineup of Lighthouse recorded Suite Feeling, which was produced by Skip Prokop and Paul Hoffert. Once Suite Feeling was completed, RCA Victor scheduled the release for late 1969. Before that, critics got the opportunity to review Suite Feeling. Just like Lighthouse, it received praise and plaudits from critics, who going by Suite Feeling were forecasting a big future for Lighthouse. With critics won over by Suite Feeling, it looked like their sophomore album was destined for the charts. Before that, Feel So Good was released as single but stalled at fifty-five on the Canadian RPM charts. This was a disappointment for Lighthouse. There was another disappointment in late 1969, when Suite Feeling failed to chart. It was another disappointment for Lighthouse. Despite the disappointment, Lighthouse’s thoughts soon turned to their third album Peacing It All Together. Just like Suite Feeling, the Skip Prokop and Paul Hoffert songwriting partnership wrote the majority of Peacing It All Together. Their songwriting partnership was flourishing. They wrote Nam Myoho Renge’ Kyo, The Country Song, Sausalito, The Fiction Of Twenty-Six Million, The Chant (Nam Myoho Renge’ Kyo), Mr. Candleman, On My Way To L.A., Just A Little More Time, Little People and am Myoho Renge’ Kyo. Skip Prokop and Paul Hoffert also wrote Let The Happiness Begin with Ralph Cole, and Every Day I Am Reminded where Beethoven receives a credit. The only song not written Skip Prokop and Paul Hoffert, was Daughters And Sons which Grant Fullerton contributed. These songs became Peacing It All Together which was recorded in the Big Apple. Recording took place at RCA’s Studio C, in New York, where Lighthouse Mk. III recorded Peacing It All Together. There had been further changes to the band’s lineup and Lighthouse were back to being to a thirteen piece band. However, it wasn’t unlucky thirteen for Lighthouse. Peacing It All Together was a much more eclectic album, with tracks ranging from folk and pop, to jazz and orchestral rock. This won the approval of critics, who hailed Peacing It All Together as Lighthouse’s finest hour. When Peacing It All Together was released to critical acclaim in 1970, the album charted and reached 133 in the US Billboard 200. It was third time lucky for Lighthouse, who at last, had a hit album on their hands. That was no surprise given the quality of music on the album. Peacing It All Together marked the start of the rise and rise of Lighthouse. However, this wouldn’t be at RCA Victor. After the release of Peacing It All Together, Lighthouse signed to GRT, where they enjoyed the most successful period of their career. By then, Lighthouse had appeared at Canada’s Strawberry Fields festival in August 1970 and later that summer, stared at the Isle Of Wight Festival in Britain. The rise and rise of Lighthouse continued. Sadly, it was without lead singer Pinky Dauvin, who left the group after the release of Peacing It All Together. By then, Lighthouse were touring 300 days a year, and when they weren’t touring they were recording. It was a gruelling schedule, and one that was taking its toll on Lighthouse. 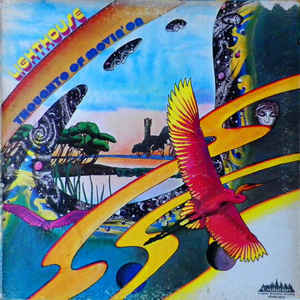 When Lighthouse returned in 1971 with their fourth album Thoughts of Movin’ On, it featured a very different lineup of the band. Bob McBride made his debut as lead singer, and was one of four new members of Lighthouse, who were now an eleven piece band. The new lineup of Lighthouse hit the ground running, with the most successful album of the band’s four album career. 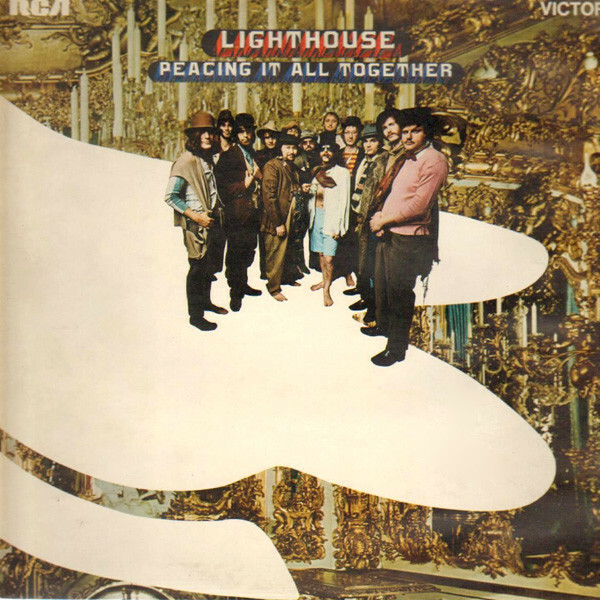 When it came to the choose the lead single, Lighthouse chose One Fine Morning and it reached number twenty-four in the US Billboard 100 in 1971. Meanwhile, in Canada, One Fine Morning reached number two and was certified gold. 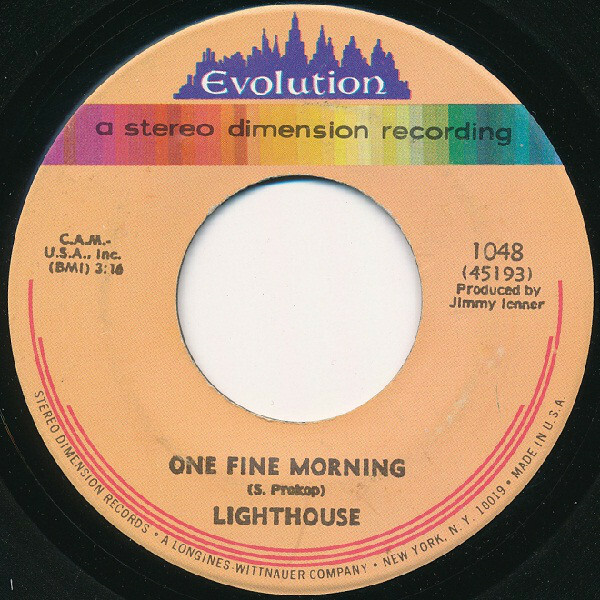 One Fine Morning also gave Lighthouse an international hit single. At last, Lighthouse’s music was reaching the audience it deserved. However, this wasn’t the end of the success for Lighthouse. Buoyed by the success of One Fine Morning, Take It Slow (Out In The Country) was released as a single. Although it reached just sixty-four in the US Billboard 100, it reached number twelve in the Canadian charts. Lighthouse were making progress at last. What Lighthouse released Thoughts of Movin’ On stalled at 157 in the US Billboard 200. That was a disappointment for the band. However, back home in Canada, Thoughts of Movin’ On but was certified gold. Still, things would get better for Lighthouse. Lighthouse Live! at the Carnegie Hall. 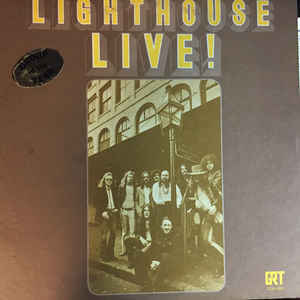 In February 1972, Lighthouse recorded Lighthouse Live! at the Carnegie Hall, in New York. Before its release Lighthouse Live! won the approval of critics. That came as no surprise, as the album featured a barnstorming performance from Lighthouse. When Lighthouse Live was released later in 1972, the album stalled at 178 in the US Billboard 200. Across the border in Canada, Lighthouse Live! became the first Canadian album to be certified platinum. Lighthouse were now one of the biggest bands in their native Canada. 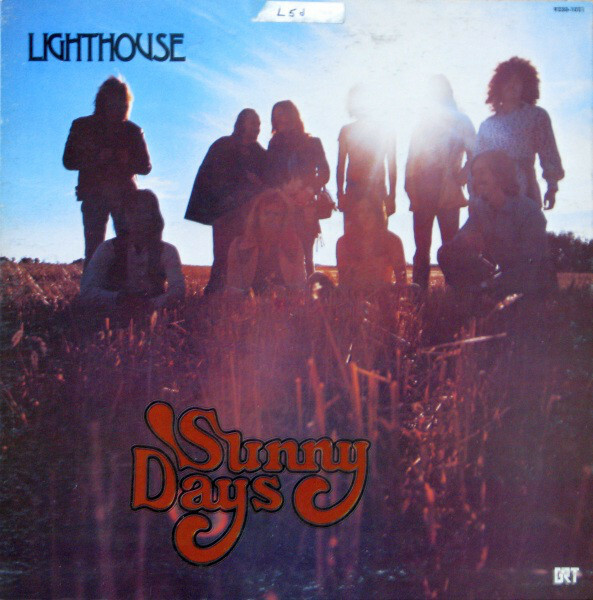 Later in 1972, Lighthouse returned with their sixth studio album Sunny Days. The band had high hopes for the album, especially after the success of Lighthouse Live! They were eventually reaping the rewards of years of hard work. While critics heard Sunny Days, it received praise and plaudits. Lighthouse seemed to maturing with each album they released. Their popularity continued to grow in Canada, with Sunny Days reaching number four. However, when Sunny Days was released in American, it reached just thirty-four in the US Billboard 100. America was proving a tough market to crack for Lighthouse. The other single from Sunny Days was You Girl which reached seventeen in Canada, but failed to trouble the US Billboard 100. This was a disappointment for Lighthouse. So was Sunny Days stalling at just 190 in the US Billboard 200 in 1972. Despite that, Sunny Days was certified gold in Canada and the Lighthouse success story continued apace. Despite being at the peak of their popularity, Paul Hoffert who was still only thirty was tiring of life on the road. He left Lighthouse, but continued in the role of executive producer. This lead to the latest change in Lighthouse’s lineup. When Lighthouse returned to the studio to record their seventh studio album Can You Feel It, lead vocalist Bob McBride failed to turn up. Skip Prokop and Ralph Cole wanted to cancel the sessions. However, producer Jimmy Ienner was determined the session continue, and even introduced a new rule that who wrote the song, sang it. This meant that Skip Prokop and Ralph Cole sung most of the songs, apart from No More Searching, which was penned by new saxophonist Dale Hillary. 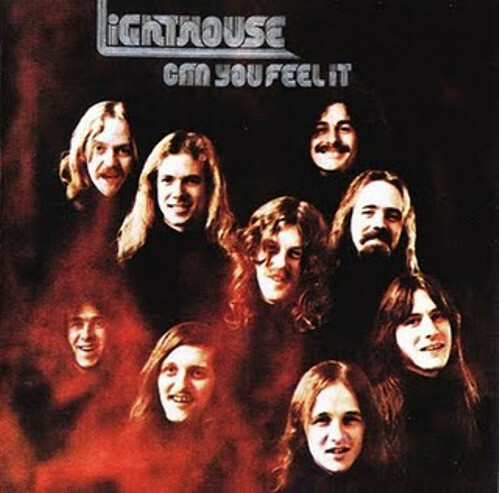 Eventually, Can You Feel It was completed and became the first Lighthouse album to feature multiple vocalists, was completed. The decision to use multiple vocalists was one that could’ve backfired badly on Lighthouse. However, Can You Feel It was well received and the album was scheduled for released later in 1973. Before that, Pretty Lady reached number nine in Canada and fifty-three in the US Billboard 100. For the followup Can You Feel It was released, and reached number nineteen in Canada. When Can You Feel It was released in 1973, the failed to chart in America. It looked as if Lighthouse were never going to crack the American market. In Canada, Can You Feel It sold well, but this time, there was no gold disc for Lighthouse. Still, though, the rise and rise of Lighthouse continued. They were one of Canada’s most successful bands by 1974. The last four years had been a roller coaster ride for Lighthouse. 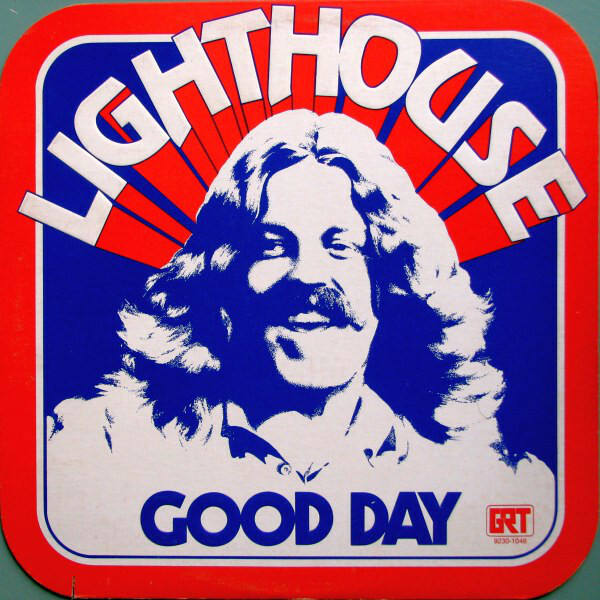 A year later, in 1974, Lighthouse returned with their eighth studio album Good Day in 1974. By then, the lineup had changed. Skip Prokop had switched to guitar on a permanent basis, and Billy King was drafted in as the new drummer. Still, though, Skip Prokop and Ralph Cole shared lead vocal duties in an attempt to ensure there was a degree of continuity. When Good Day was released as a single in 1974, it stalled at a lowly sixty-eight in Canada. Things didn’t improve when the album Good Day was released. 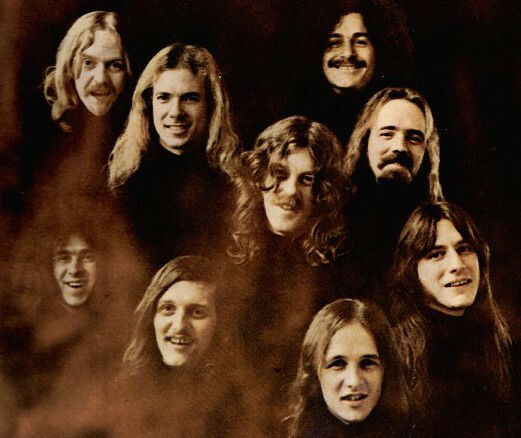 It failed to match the sales of previous albums it featured the song Wide-Eyed Lady, which quickly would become a favourite when Lighthouse played live. Despite the disappointing sales of Good Day, Lighthouse returned to Thunder Sounds Recording Studios to begin work on their ninth album. However, by then all wasn’t well within Lighthouse. Founder member Skip Prokop quit the band, and the album was never completed. While Lighthouse continued to tour without Skip Prokop, the band never returned to the studio. The only album GRT released was The Best of Lighthouse in 1976. By then, Lighthouse were on their last legs, and disbanded later that year. After seven years, eight studio albums and a live album, Lighthouse called time on their career. In 1992, Skip Prokop, Paul Hoffert and Ralph Cole reformed Lighthouse and twenty-five years later they’re still going strong. The reformed band released a new album Song of the Ages in 1996. 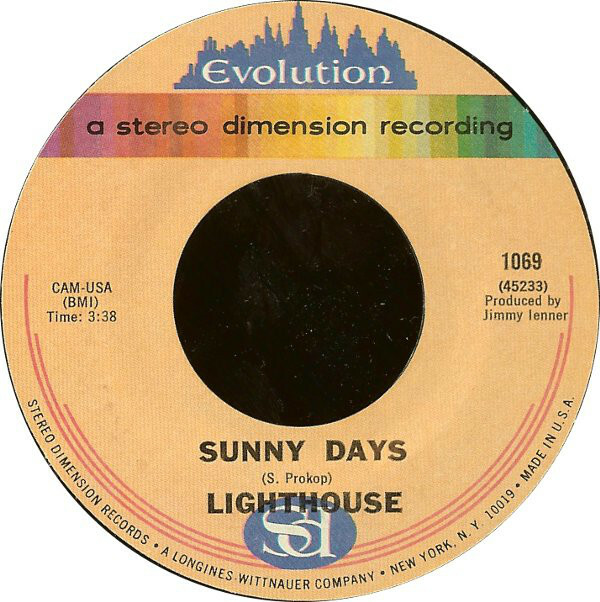 Thirteen years later, and Lighthouse released 40 Years of Sunny Days a CD/DVD release in 2009. The following year, Lighthouse released the Best of Lighthouse-20th Century Masters in 2010. This was the perfect introduction to newcomers to one of Canada’s best bands, Lighthouse. In 2014, founder member Skip Prokop retired from Lighthouse. Waiting in the wings was son Jamie, who is a chip of the old block. He ensures Lighthouse keep on rocking as they tour Canada. Then in January 2018, Lighthouse will perform for the second time on the Moody Blues Cruise. That is nearly fifty years since the Lighthouse story began. They had released the best music of their career between 1969 and 1974. During that five-year period, Lighthouse were one of Canada’s most talented band and successful bands.They were led by Skip Prokop and Paul Hoffert who were Lighthouse’s songwriters-in-chief and producers. They were responsible for yen eight studio albums and one live album Lighthouse released between 1969 and 1974. These albums oozed quality as Lighthouse switched seamlessly between and combined disparate musical genres. 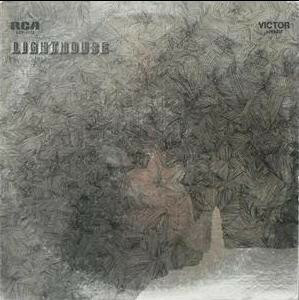 Lighthouse were musical master craftsmen, who deserved to reach greater heights during the RCA Victor years. They went on to enjoy further critical acclaim and the commercial success they deserved during the GRT years, when Lighthouse became one of Canada’s most successful bands. ← THE RISE AND DEMISE OF STEVE AND THE BOARD.